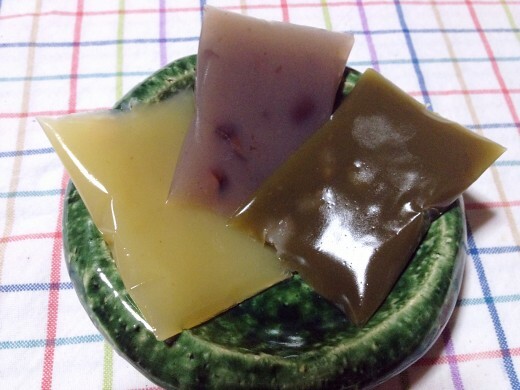 I got Nagoya specialty uiroh mochi as a souvenir from my friend in Nagoya. 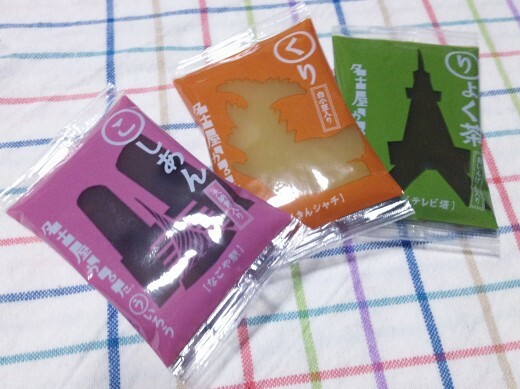 They came in three different flavors: red bean paste, chestnut, and green tea. 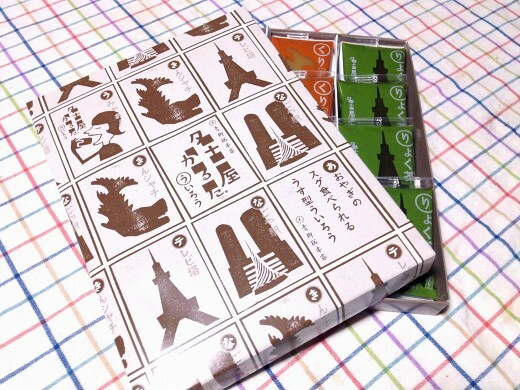 Each bag had drawings related to Nagoya. 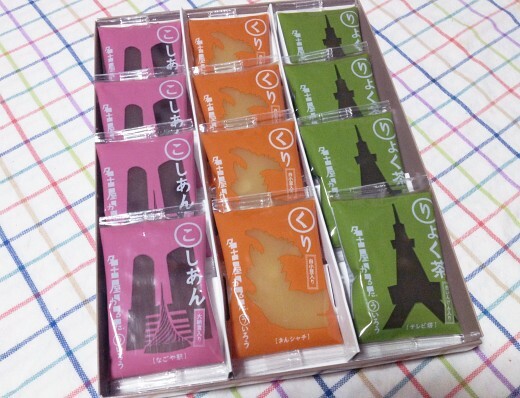 It was very cute. And did I mention they were delicious!